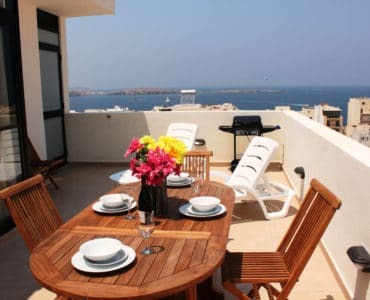 Brand new modern-finished Luxury Holiday Penthouse with Hot Tub/Jacuzzi, BBQ, outdoor furniture, sunbeds, and hot tub / Jacuzzi. 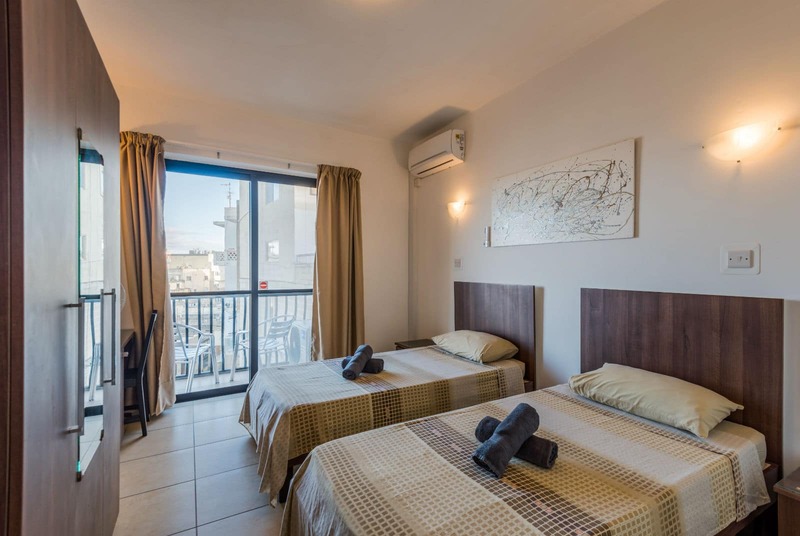 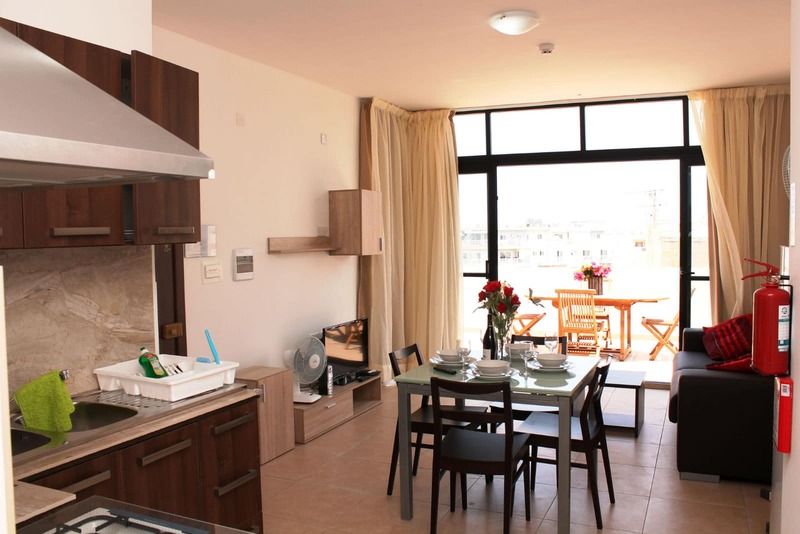 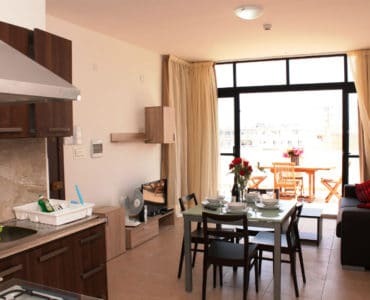 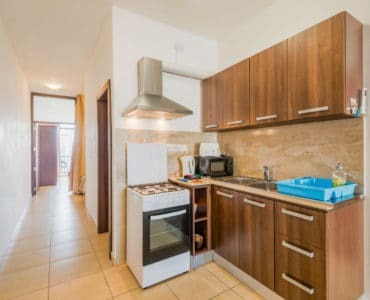 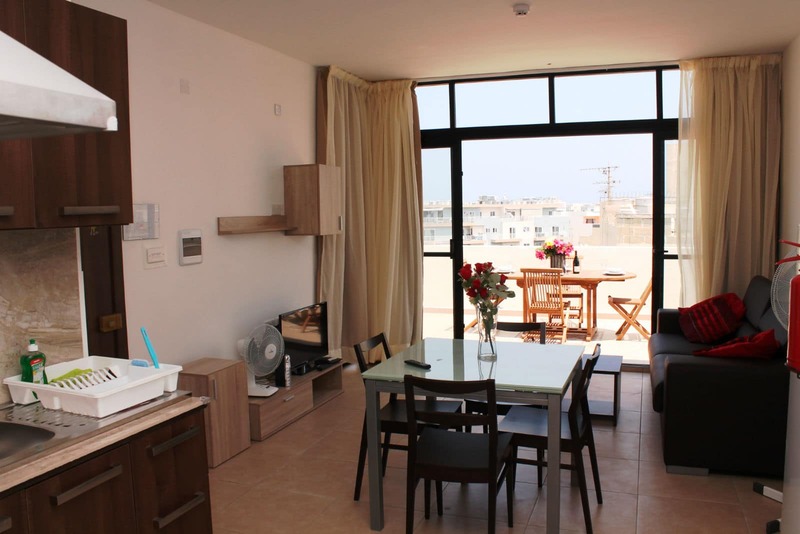 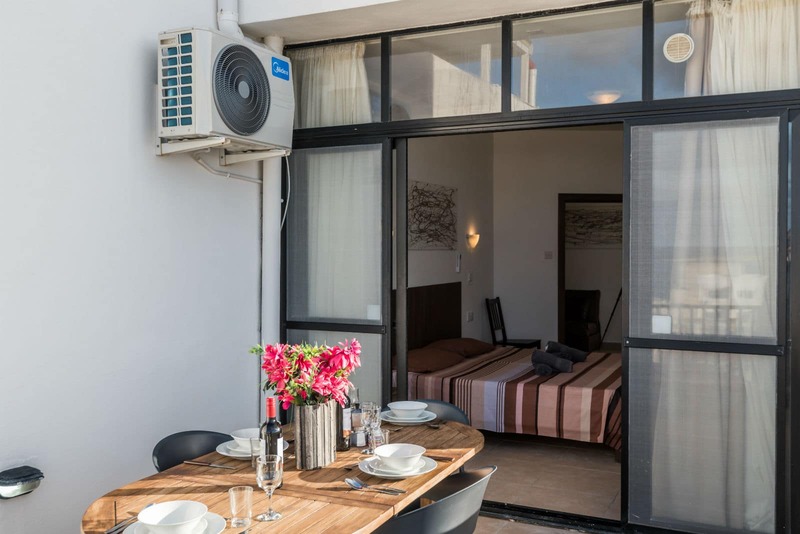 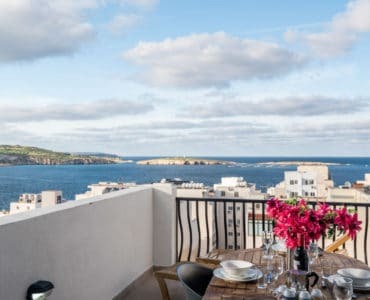 The property consists of an interconnecting 1 bedroom penthouse and a studio penthous eon the same level. 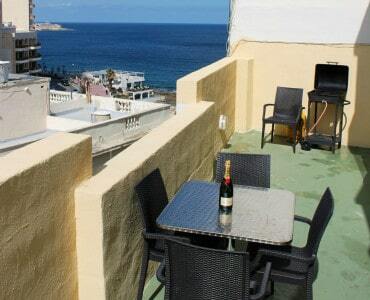 Both terraces have sea views. 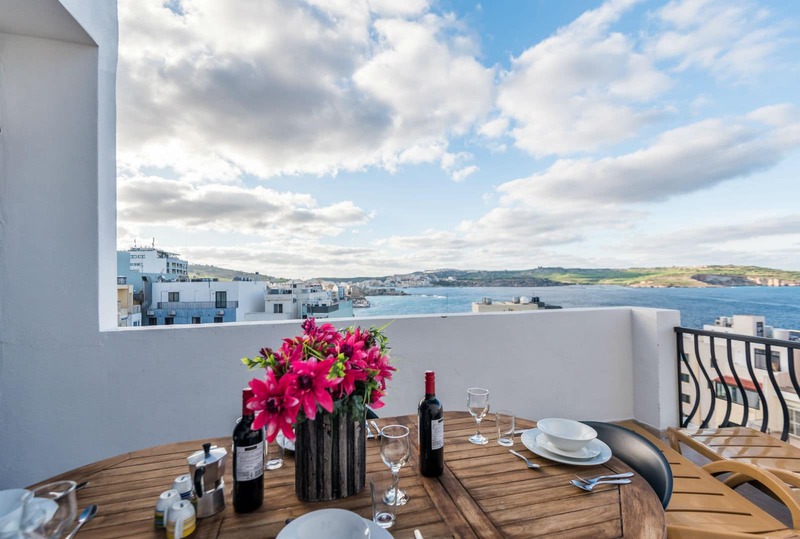 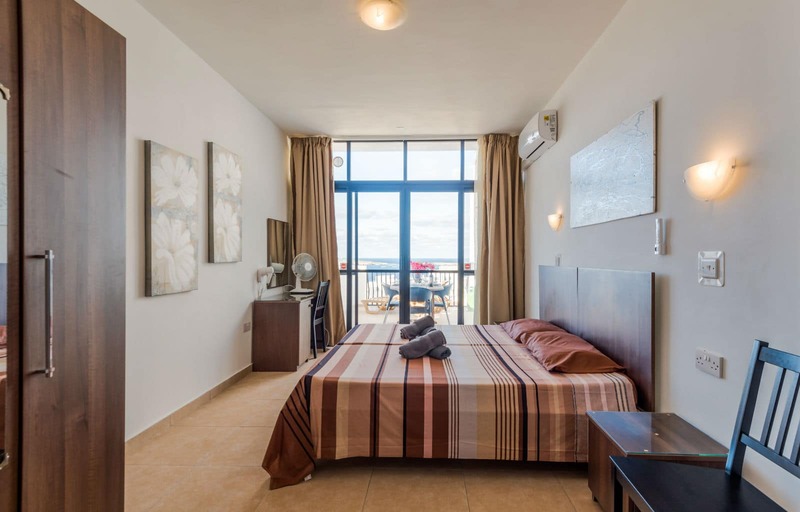 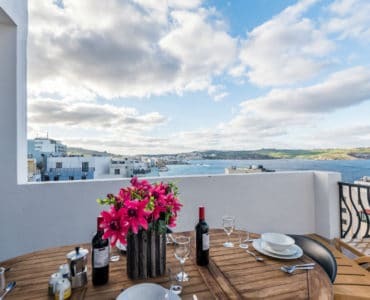 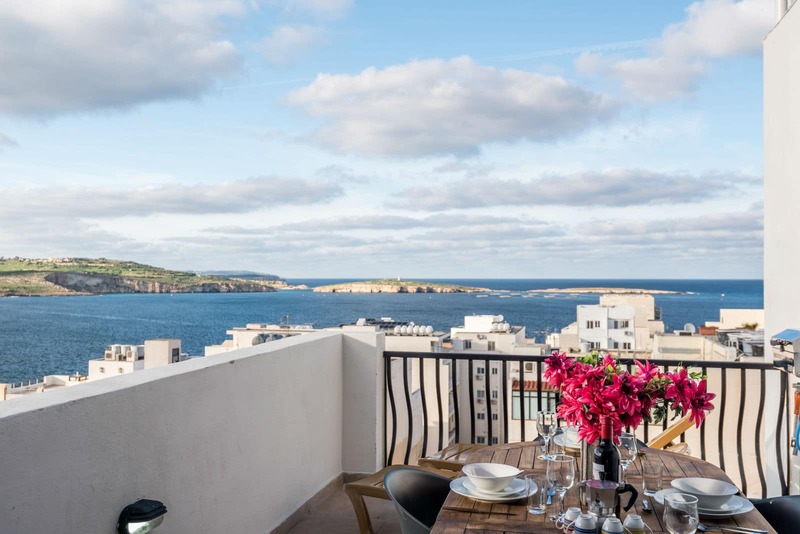 This superior penthouse is located just 150 meters off the Bugibba promenade, in a block of self-catering holiday apartments. 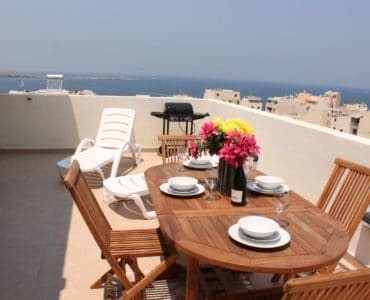 This property is ideal for a family holiday, family gathering holidays or a group of up to 8 friends. 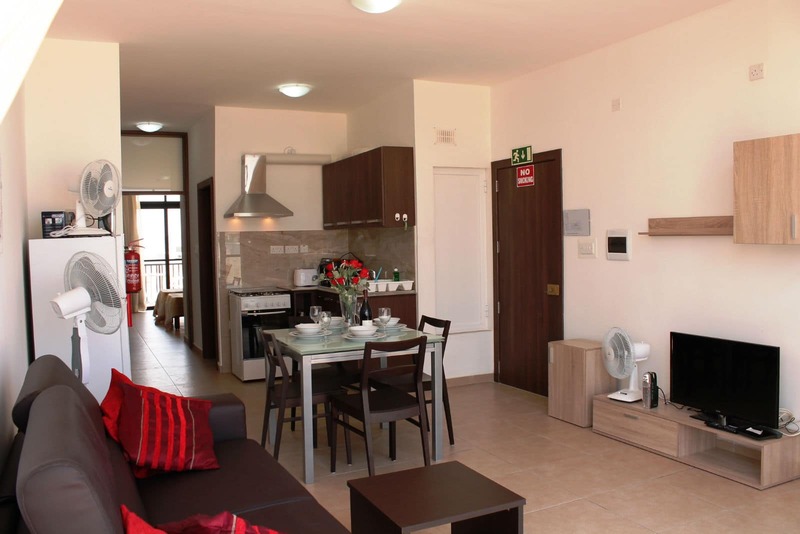 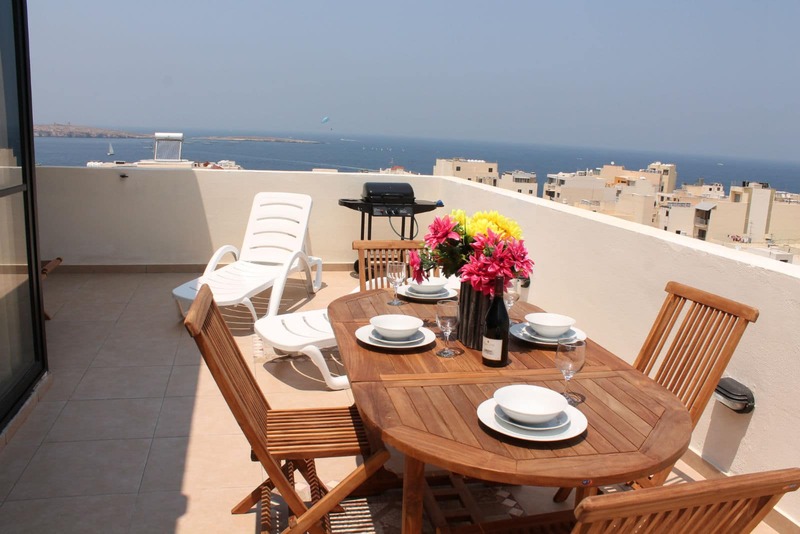 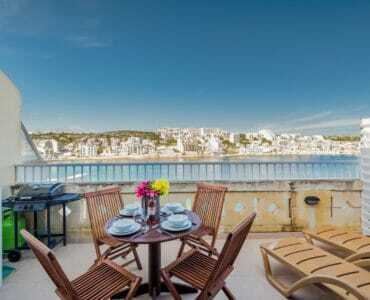 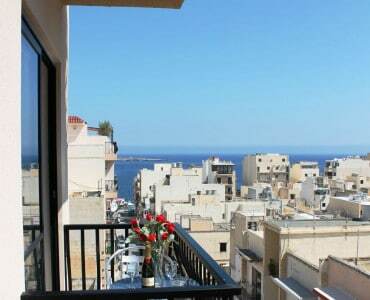 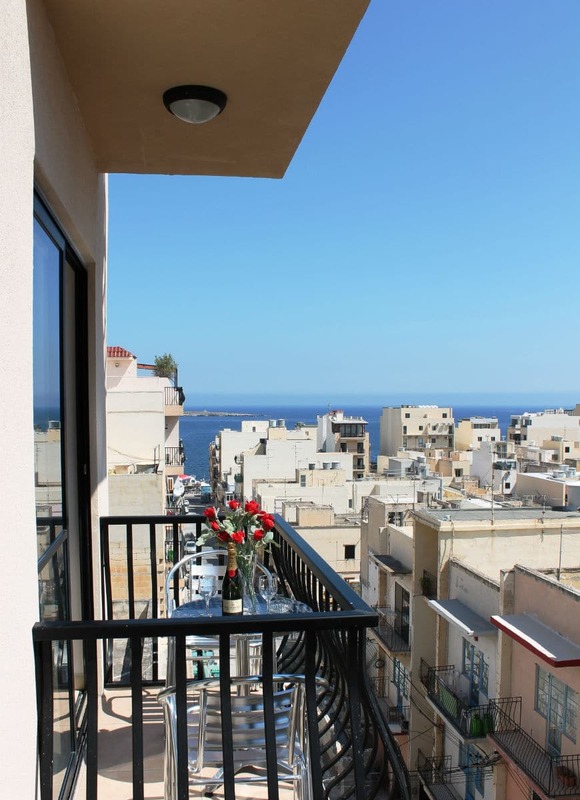 Penthouse is located just 150 meters off the Bugibba promenade, in a block of self-catering holiday apartments. 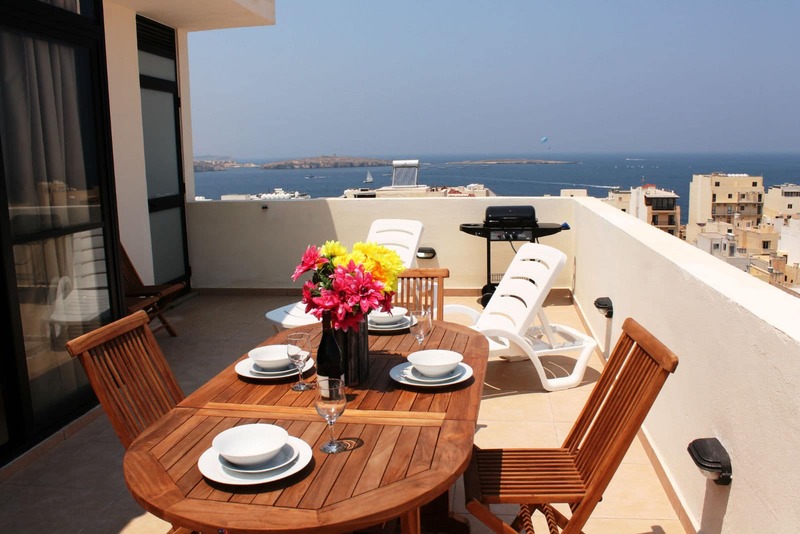 This spacious Penthouse is ideal for a family gathering or a group of up to 8 friends. 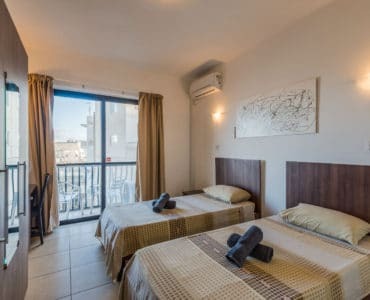 The main bedroom has twin beds. 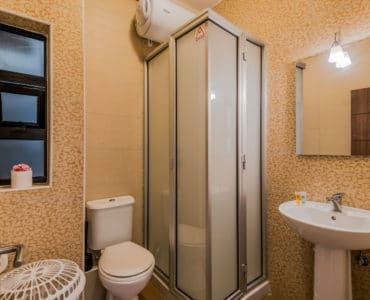 An extra bed can be added upon request. 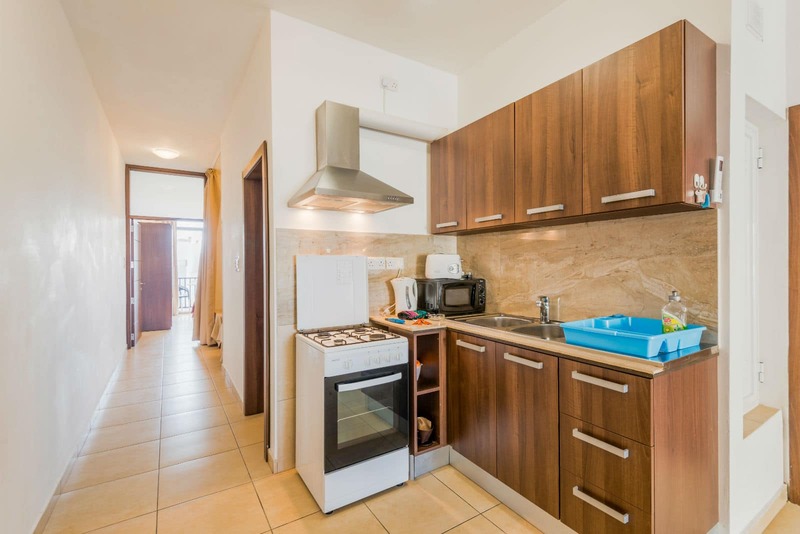 There is also a sofa bed in the combined kitchen and living-dining room. 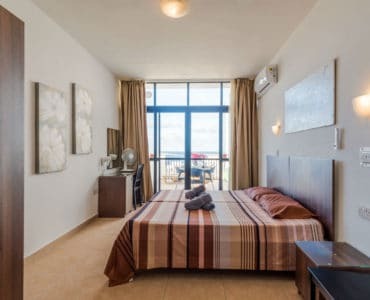 A second bedroom (in the studio part) with twin beds and another extra bed can be added upon request. 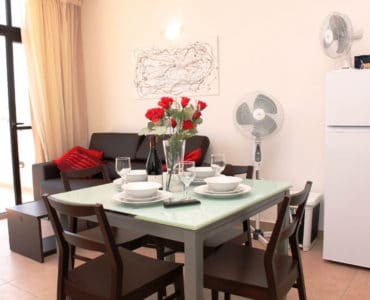 A single sofa bed is also present. 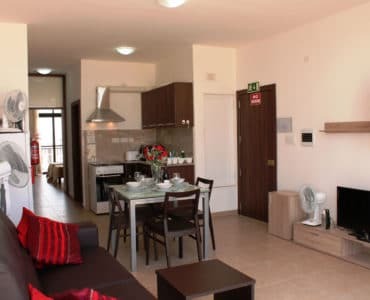 In one living room, there is a modern double sofa bed. 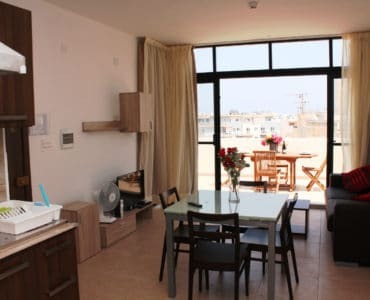 In the other there is a one person sofa bed. 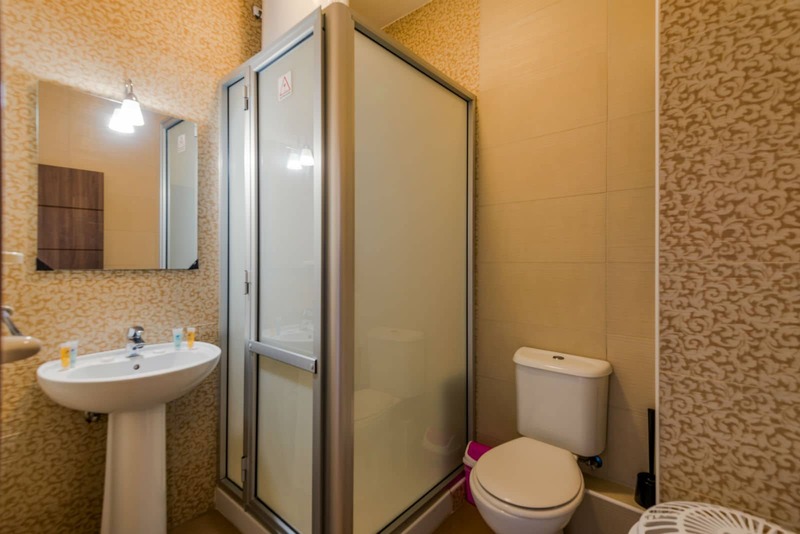 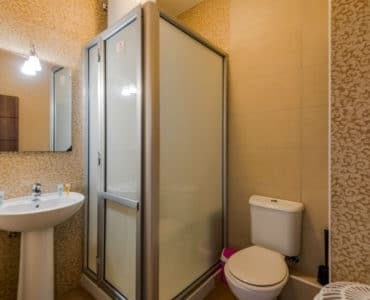 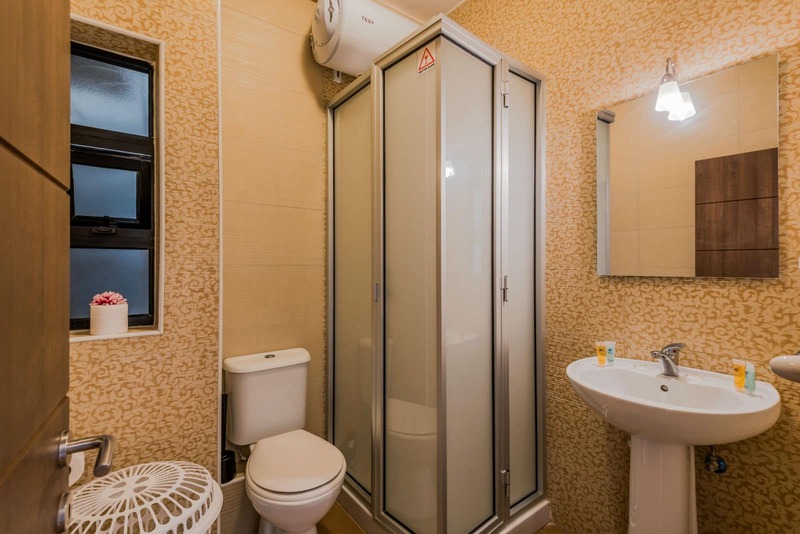 The two bathrooms are very similar and are quite spacious (1.8mx1.8m or 6 ft x 6 ft). 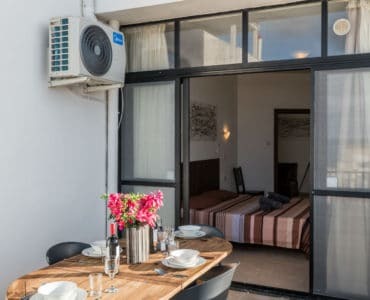 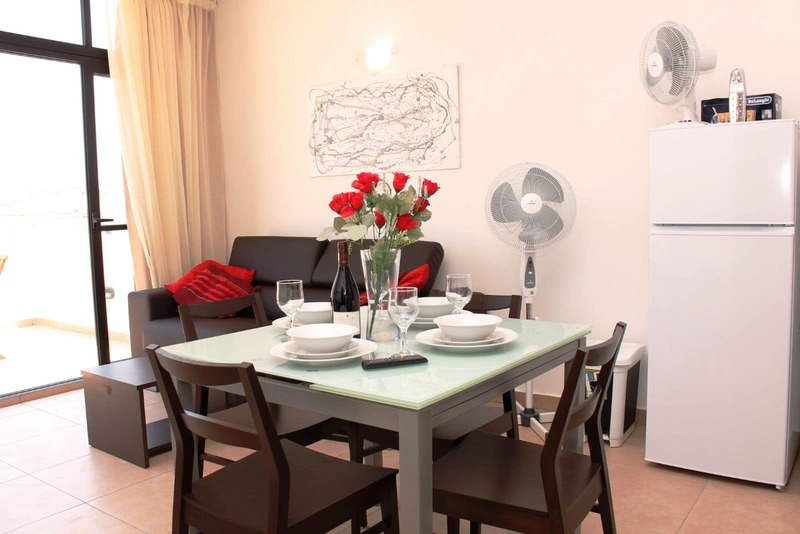 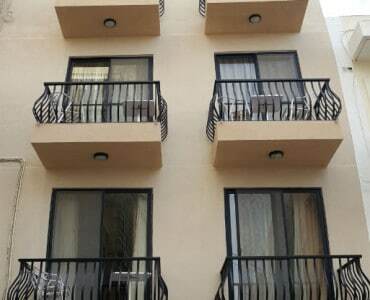 Fully Air conditioned and Fans are also provided in each room. 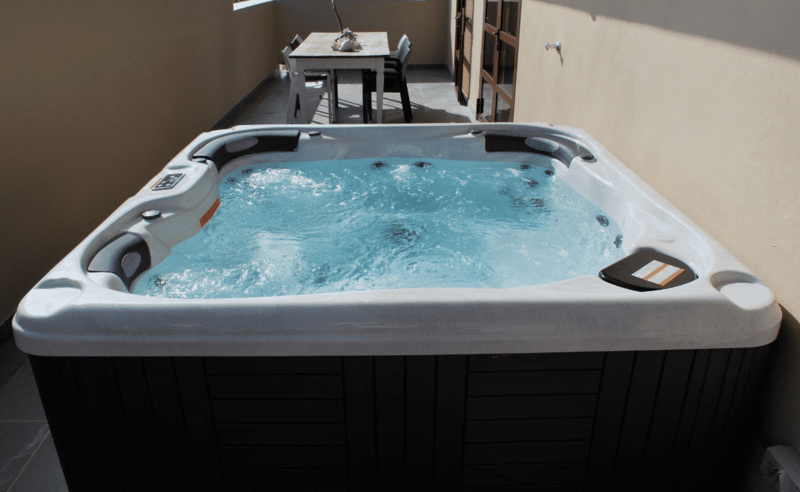 You can view the exact location and reviews for this Luxury Holiday Penthouse with Hot Tub/Jacuzzi on Google Maps.